The newspaper, for 37 years the mouthpiece of Robert Mugabe’s government, is now the voice of the new president, Emmerson Mnangagwa. He replaced Mugabe when the long-time leader was deposed in late 2017. 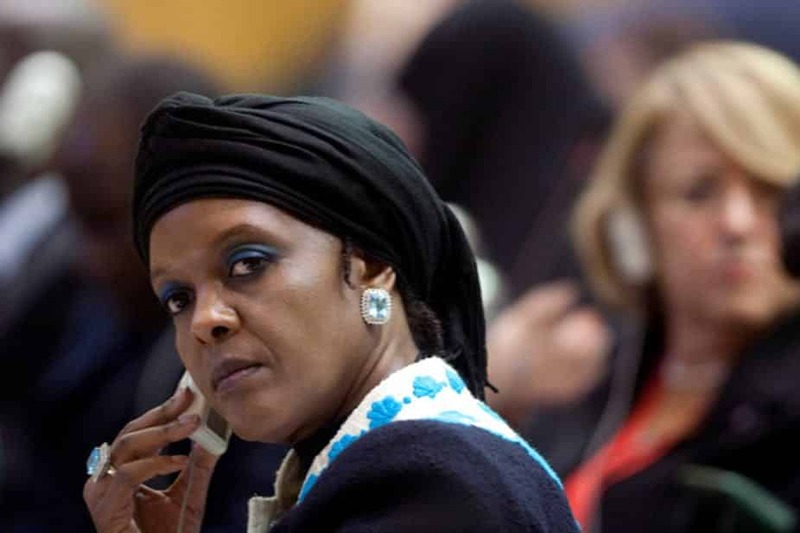 Over the last couple of months, the Herald and a number of other Zimbabwean media outlets have published detailed accounts of police investigations into former first lady Grace Mugabe’s suspected role in ivory smuggling. She was also accused of illicitly obtaining ivory from legal government stocks and either illegally selling it or exporting it as gifts for high profile foreign allies. Zimbabwe is one of the key elephant range states and home to Africa’s second largest estimated elephant population of nearly 83,000 individuals, following Botswana. Though there are high elephant numbers, alarms have been raised over poaching in the country including the use of cyanide poison to kill large numbers of them. The first reported case of this was in 2013 when a single massacre of over 100 elephants happened at Hwange National Park. Since then it has become a common means of poaching throughout the country’s protected areas. Grace Mugabe was his major rival to succeed President Mugabe and acted with her husband’s support to sack Mnangagwa as Vice-President in 2017. This led to a military-backed coup which forced the Mugabe to step down and saw Mnangagwa elected leader by ZANU-PF. The move to pursue Grace Mugabe also wins the new leader international favour. Far from being criticised for oppressing political opponents, Mnangagwa would be praised for making a stand for the protection of elephants and rhinos – which, today, has a huge global concern. Between 2007 and 2014, the African elephant population declined by 144,000 animals. The government may also be attempting to put a lid on past accusations against Mnangagwa, who was said to be the godfather of rhino horn smuggling operations. Partly through his role as Mugabe’s director of intelligence, he was accused of being involved with supplying horns to Chinese buyers nearly a decade ago. But before any judicial hearings or convictions, the police docket, in the hands of then-Attorney General Johannes Tomana, disappeared. Media trumpeted the news that Mnangagwa’s youngest daughter, Tariro, had joined a group of young female rangers dedicated to fighting poaching in the Zambezi valley. Will Makaha Restore Peace at Dembare?